Ireland’s Shane Lowry was able to outlast a group of quality contenders on Sunday at Firestone, winning his first PGA Tour event at the 2015 WGC-Bridgestone Invitational. Jim Furyk and Justin Rose held the lead at Firestone heading into the final round, but both players struggled just enough on the front nine to let others into the tournament, namely Lowry and Bubba Watson. Watson was tied for the lead when he made a costly bogey on the par-3 15th, but managed to get into the clubhouse at 9-under par to set the number to beat. At this point, Furyk and Rose were practically out of the picture, and it was left to Lowry, who had been rolling it in from just about everywhere on the back nine to save par and maintain a one shot lead. 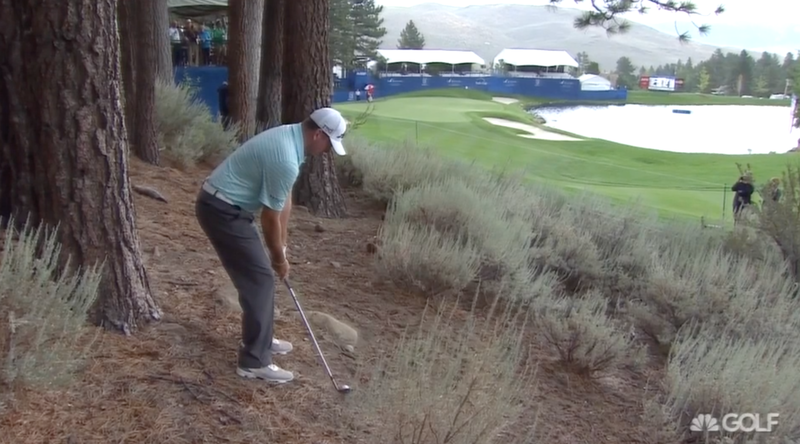 He held that one shot lead as he approached the 18th tee, but his drive went well left of the fairway. 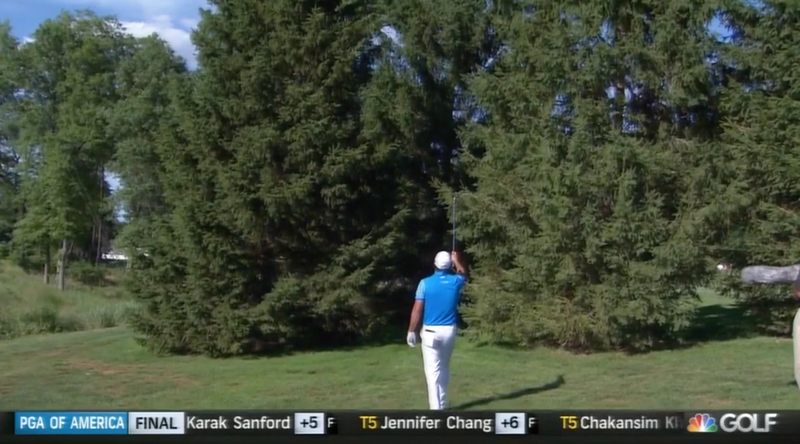 Lowry, who had already made one ridiculous recovery to post a birdie on the 10th, stepped up to his ball and decided to go over the trees and at the pin. Lowry would hit his birdie putt to win by two and claim his first career PGA Tour win. Fully exempt for three years on the PGA Tour. European Tour status extended through the 2018 season. Moves from 48th to 19th in the Official World Golf Rankings. “This golf course has stood the test of time.” Yes, it’s every bit as dull as it was years ago. 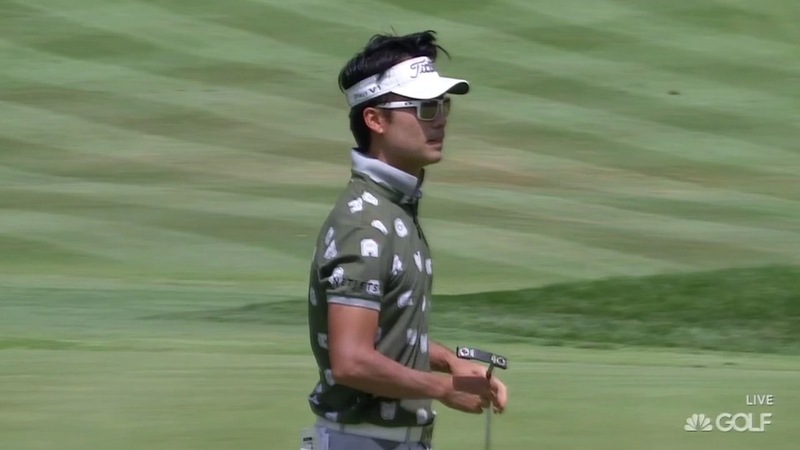 Firestone has never been my favourite course to watch on the PGA Tour, but for whatever reason, it seemed unbearable this week. All the holes look the same, and with how much the ball was running out on the fairways, it seemed like every hole was being played by the players with driver-wedge over and over again. If Jim Furyk is consistently hitting the ball over 300 yards with ease, you need to fix something. Brett Wetterich shot -9 at the Barracuda…. Oh, nevermind. 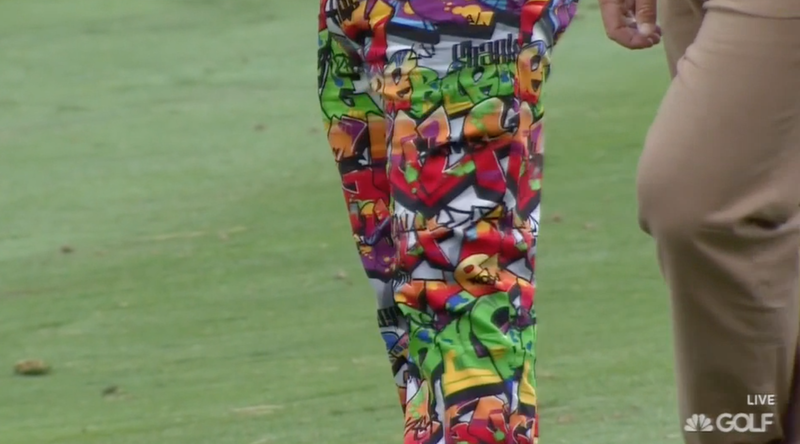 Jim Furyk's pants would be baggy on Vince Wilfork. Nice little punch from Lowry on 18. Spieth goes through the gamut here. 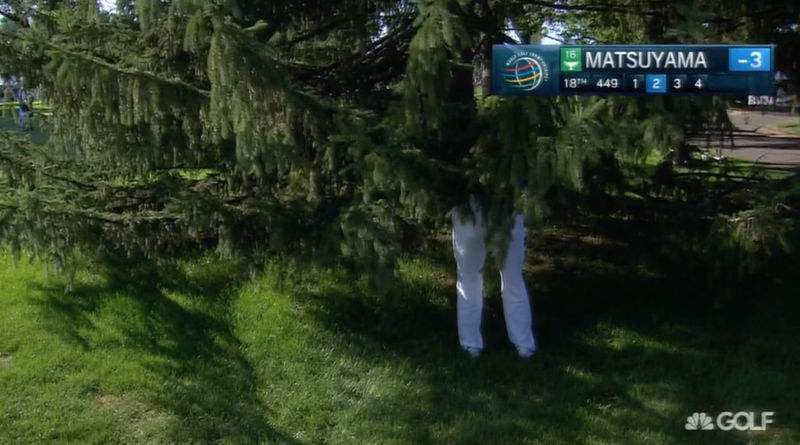 Spieth doesn’t need that ball any more. Danny Lee with the exaggerated follow through. Great comparison of how far past parallel John Daly is to some modern PGA Tour players. Where Bubba’s tee balls have landed on 16 over the years. That’s not the advised shot, Jason. Little left from Geoff Ogilvy. Congrats to JJ Henry on winning the Barracuda in a playoff, which provided far more drama than Firestone. I’m not sure about the quality of the course, but Montreux is certainly scenic enough and presents so, so well on TV. Furyk is now 0-10 when holding at least a share of the 54-hole lead since 2010. Furyk is one of the best players I’ve ever seen and his remarkable consistency is something that we frankly don’t talk enough about, but that stat is just so confounding. Not all losses are created equally, but you would have figured that he could have closed one or two of those. Does anyone have any clue whatsoever about what Phil’s going to do this week at Whistling? 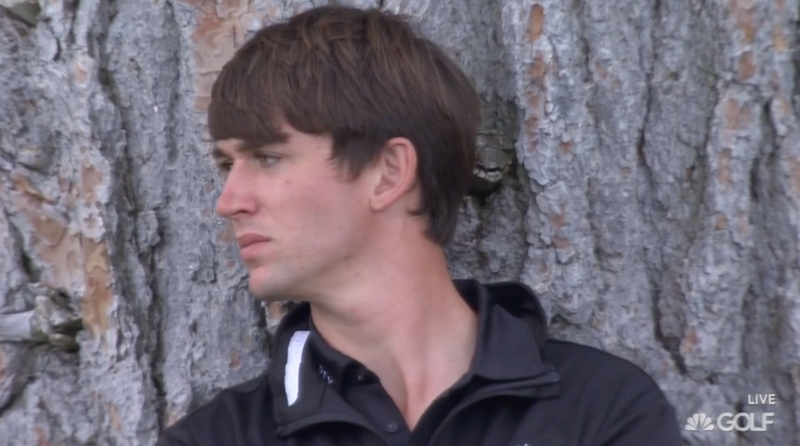 I know that Rory wants to play this week and certainly the video we saw earlier this week from Whistling looks promising, but it does seem a little early, doesn’t it? He just made the field all the more interesting, but I just hope that he can keep himself healthy, especially on one of the toughest courses to walk that the PGA Tour visits. It never felt like Jordan Spieth had a chance to win at Firestone and he still finished T-10. In case you missed it at the Barracuda, Romero was a little upset with his play late on Saturday and decided to punch a tee sign. He soon found out that the tee sign was metal, and well, that’s not a fight that many are going to win, and he ended up hurting himself. Since the Barracuda is played as a stableford event though, he doesn’t actually have to finish the hole, as a double bogey is the worst score you can card. So, what did he do? He took the putter from the tee, played a shot and picked up his ball to take the max. Now, technically Romero didn’t break any rules here and when questioned by PGA Tour official Mark Russell, it was determined that Romero was indeed making his best effort since he felt that if he gripped the club and took a full swing, he would do further damage to a hand that he was going to get x-rayed after the round. Honestly though, I look at the above GIF and I can’t help but think that what Romero is doing is the exact opposite of a best effort. As Frank Nobilo said on the broadcast, best effort would likely involve swinging one handed and making your score that way. Now the x-ray revealed a broken hand, forcing Romero to withdraw after the third round, but can you imagine if he had come out and done this for 18 holes on Sunday as he did for the final four on Saturday, just to pick up a few FedEx Cup points?